Our mission is to provide optimal comfort and dignity to our patients through their end-of-life journey. We will achieve this by concentrating on patient and family centred goals with a focus not only on the medical needs but also by providing care for the mental and spiritual needs of our patients and families during their journey. For most people, learning that a loved one has a terminal condition creates anxiety, fear and apprehension. Family members may have trouble providing the support needed at such a critical time. Guiding Light Hospice, Elko's newest hospice with 24-hour care and support, when care is needed most. The trained physicians, registered nurses, licensed social workers, and bereavement counselors work as a team to promote peace and comfort during the final days. The aim of the hospice team is to make your loved one's remaining time as comfortable and as meaningful as possible. Guiding Light Hospice is here to help. If you or a family member have a question please call 775-753-6400. 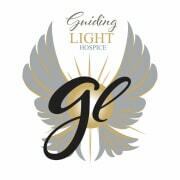 Would you recommend Guiding Light Hospice?